This is the last of my cards created in this month's Technique Classes - using the Faux Silk Technique. There are a couple of ways you can do this technique. 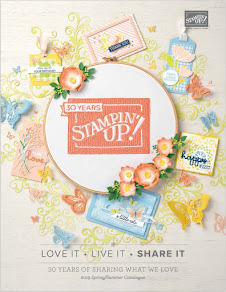 For the above card, the image was stamped and coloured on to Whisper White cardstock. A thin layer of Tombow (wet glue) was then spread all over the white cardstock. A piece of tissue paper was then scrunched up and opened out again. This was carefully placed over the image/white cardstock and smoothed down, but not so much as to remove all the wrinkles and creases from it. The excess tissue was then trimmed off. The image used is from the Kimono Kids stamp set (page 46). The colours used are Pear Pizzazz, Blushing Bride and Concord Crush. The ribbon is the gorgeous Stitched Poly ribbon in Concord Crush. 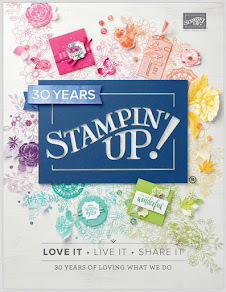 Free Gifts - From Stampin' Up!